NETinfo Plc is happy to announce that we have been recognised as one of the Global Leaders in Omnichannel Digital Banking in Forrester’s 2015 report ‘Market Overview: Omni channel solutions’. This report is focussed on how Omnichannel is one of the key transformation areas in banking today and how it offers a broader spectrum of support for retail and corporate consumers. 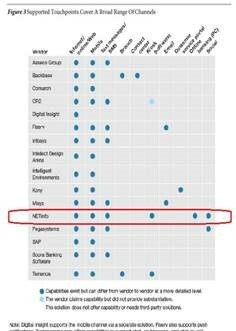 Forrester evaluated 16 global vendors and NETinfo was listed as the leader of the pack based on our products channel offerings, client segmentation, supported features and geographical coverage. NETinfo has been featured by Forresters as leaders in the delivery of complete Omnichannel solutions that address all touch points for multiple channels and customer segmentation. 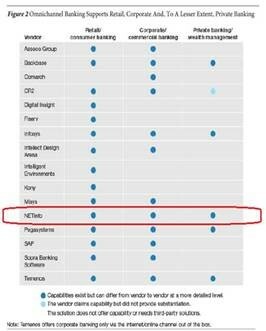 NETinfo has been acknowledged by Forresters as key players in Digital banking for 2 consecutive years, having also featured in Forrester’s Choose the right Mobile Banking Solution report in 2014. With over 35 banking customers in 25 countries, we are proud to be featured in the highest ranks by one of the most respected global research companies for new technologies. This is an additional validation of how NETteller is the right solution for banks who are looking to accelerate their services through digital transformation.